There is a single direct bus services a day from Phitsanulok to Trat which you can book online. The scheduled travel time from Phitsanulok to Trat is 12 hours 5 minutes. Use the Search Box below to book your tickets from Phitsanulok to Trat. Phet Prasert bus services to Trat depart from Phitsanulok Bus Terminal 2 which is the main long distance bus terminal in Phitsanulok and a different bus terminal the one from which bus services between Phitsanulok and Sukhothai arrive and depart. Phet Prasert bus services from Phitsanulok terminate at Trat’s Central Station. Trat Central Bus Station is 30 km from the ferry pier to Koh Chang. It is very easy to get from Trat Central Bus station to the ferry terminal. Lots of people do this journey and there are shared taxis, which are converted pick up trucks with two rows of seats in the back and a hood known as songthaew, which wait for intercity buses to arrive in Trat to take passengers to the ferry terminal for Koh Chang. From Trat it takes about 40 minutes to travel in a shared taxi to the ferry terminal for Koh Chang and the fare in 80 THB per person. There two piers, Ao Thammachat Pier and Centre Point Pier, which are on the same road so decide in advance which ferry service you want to use as they each travel from different piers. 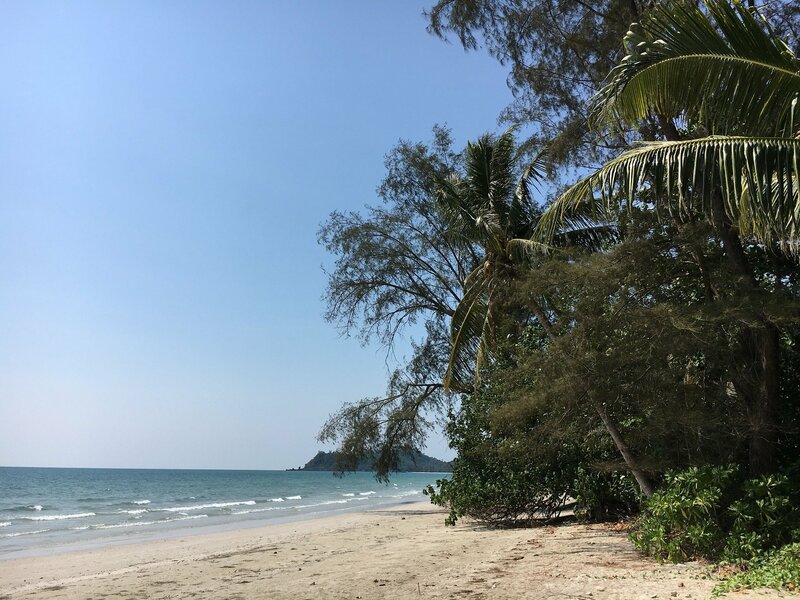 There are two ferry services to Koh Chang: Ferry Koh Chang, which operates out of Ao Thammachat Pier; and Centerpoint Ferry, which operates out of Centrepoint Pier, which is closer to Trat Central Bus Station. Ferry Koh Chang services depart every 45 minutes from 06:30 to 18:30 cost 80 THB per person. Centerpoint Ferry services depart every hour on the hour from 06:00 until 18:00 with a final ferry of the day at 19:30. The adult fare to Koh Chang on the Centrepoint Ferry is also 80 THB. Ferry Koh Chang uses slightly better boats but arrives at the same place as Centerpoint ferries so there is not much difference between the two services.